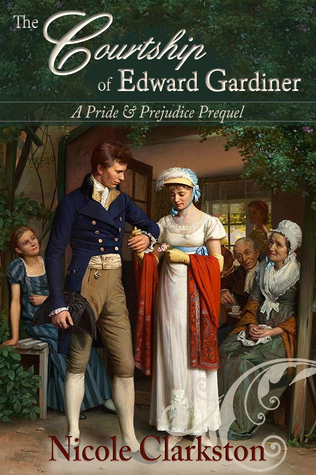 The Courtship of Edward Gardiner by Nicole Clarkston is a prequel to Pride & Prejudice by Jane Austen and it features two of its most beloved characters, the Gardiners. Edward Gardiner has had his heart broken and when Thomas Bennet calls for his aide, he’s happy to oblige if it gets him out of London and away from his dashed hopes. He’s a businessman on the rise, and while his sisters may be less than tactful, he’s a perfect gentleman. I’ve always loves the relationship between Elizabeth Bennet and her aunt, and Clarkston gives us more insight into how that bond may have formed. Mr. Gardiner soon finds out how different Lizzy and Jane are, as young Lizzy (age seven) is boisterous and curious and very eager to engage with everyone she meets, even if they are aloof and rude. In the town of Lambton, Madeline Fairbanks helps her ailing father and her devotion to him demonstrate her loyalty and love for family, and even when she’s roped into caring for a sick Jane Bennet. Clarkson really does well creating believable minor characters with their own concerns and trials, including Mrs. Porter and her husband, Mr. Lawrence, and others. And Thomas Bennet’s sarcastic wit is ever present and enjoyable. Readers will enjoy the courtship of Mr. and Mrs. Gardiner in the midst of the chaos, as Clarkson teases out the best qualities of both Jane and Lizzy Bennet and entwines them with Madeline Fairbanks’ wiser and forthright personality. To image a younger Lizzy and see her interact with a young man who is trying his level best to impress his father, care for his very young sister, deal with the death of his mother, and wrap his teenage mind around his duty is fascinating to watch. There is a lot of teasing in these pages, blushes, smiles, laughter, and awkward moments that make young love so innocent and appealing. The Courtship of Edward Gardiner by Nicole Clarkston is simply lovely and she’s an author I look forward to reading more from. Nicole Clarkston would like to offer one copy of The Courtship of Edward Gardiner on each stop of the blog tour. The format is readers’ choice (eBook or paperback) and is international. Leave a comment on this post about your favorite Jane Austen minor characters. And if you share on Facebook or elsewhere, leave a link for more entries. Nicole Clarkston is the pen name of a very bashful writer who will not allow any of her family or friends to read what she writes. She grew up in Idaho on horseback, and if she could have figured out how to read a book at the same time, she would have. She initially pursued a degree in foreign languages and education, and then lost patience with it, switched her major, and changed schools. She now resides in Oregon with her husband of 15 years, 3 homeschooled kids, and a very worthless degree in Poultry Science (don’t ask). Nicole discovered Jane Austen rather by guilt in her early thirties- how does any book worm really live that long without a little P&amp;P? She has never looked back. A year or so later, during a major house renovation project (undertaken when her husband unsuspectingly left town for a few days) she discovered Elizabeth Gaskell and fell completely in love. Nicole’s books are her pitiful homage to two authors who have so deeply inspired her. Check out her website and look her up on Facebook. I’ve always enjoyed the Crofts. They seem like they’d be a lot of fun to hang around with. Looking forward to reading this wonderful story. Love the Gardiners, can’t wait to to read their story! The Gardiners are by far the best, already-married couple in Pride and Prejudice. It’s exciting to have a book about their beginning! 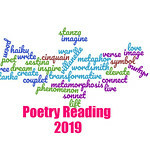 I’m looking forward to the next excerpt. My absolute favorite Jane Austen minor character is Georgiana Darcy. I have a great deal of curiosity about this book. My fave minor character is Mr. Bennet, but only when he’s Lord Shelton. If I were to play a character, I’d like to be Mr. Collins or Mrs. Bennet, since it would be fun to be so ridiculous. Best of luck on the rest of the blog tour, Nicole! I enjoyed reading your review. I absolutely adored this book! Glad you loved it too. Thank you for such a thoughtful, careful review! I appreciate all of your warm words. Edward and Madeline are such a lovely couple, aren’t they? I just adore their wisdom and generosity, and I am perfectly thrilled that I am not the only one. 🙂 Good luck in the giveaway, everyone! I’ve had the supreme pleasure of reading this most heartwarming of stories and needless to say I loved it! Nicole has an eloquent writing style and her sheer love of our beloved characters is so evident. An uplifting,deeply compelling story that you will read eagerly anticipating how Nicole gave Edward and Madeline the most precious gift of all,a lifetime of happiness together. I am partial to the “bemused spectator” in P &P, Mr. Bennet, as played by Donald Sutherland in the movie version. He’s perfect as the sarcastic and witty husband and father, and is an entertaining supportive character/actor. Thank you for hosting this giveaway, Serena–I will add it to my blog’s sidebar. I’m glad that you enjoyed this book so much. My favorite minor character is Charlotte Lucas. She gives her views about marriage which are wise. It was really well done, and I’ve never read this author before. As I said in another stop of this tour, I like Charlotte and Maria Lucas and Mary Bennet. They’re all quiet characters as Nicole added and I think I prefer them because somehow I can relate to their nature. I’ve read two of Nicole Clarkston’s books so far, one JAFF and one N&S variation. Both are thoroughly enjoyable and she has a real feel for her subjects. The Gardiners are a fabourite couple of mine from Austen’s original works and I’d love to read more about how they met and fell in love. ladies to be sure! My favourite secondary character is Col Fitzwilliam. be cannibalized by someone or other who should not have it!